In what might be its best chance of success yet, Congress is set to hold hearings on legislation addressing the problem of banking cannabis related businesses, including the Secure and Fair Enforcement Banking Act of 2017 or the “SAFE Act of 2017.” The SAFE Act of 2017 (H.R. 2215 and S. 1152) was originally introduced in the house back in 2017, but since then has earned a growing number of supporters from both sides of the aisle and in both the House and the Senate. If signed into law, the SAFE Act of 2017 would be a monumental step forward for the ever-expanding cannabis business in the United States, providing financial institutions and their leaders safe harbors for banking otherwise state legal and compliant marijuana related businesses and hopefully opening the doors for this vastly underserved industry. As currently drafted, the SAFE Act of 2017 has four key provisions which would alter both the face of banking in the cannabis space and the cannabis industry as a whole. First, the SAFE Act of 2017 specifically prohibits a federal banking regulator from taking certain actions against depository institutions solely because that depository institution provides financial services to what the bill calls a “cannabis-related legitimate business.” This prohibition includes terminating the deposit insurance of such a financial institution, discouraging such a financial institution from providing services to a cannabis-related business, and taking corrective supervisory action on a loan made to the owner or operator of a cannabis-related legitimate business solely because the owner or operator owns a cannabis-related legitimate business. Second, the SAFE Act of 2017 provides that a depository institution that provides financial services to a cannabis-related legitimate business “and the officers, directors, and employees of that depository institution” may not be held liable under federal law solely for providing such financial services to cannabis related businesses in compliance with state cannabis law. Third, the SAFE Act of 2017 protects a financial institution which has acquired a lien in and to collateral of the cannabis-related legitimate business from criminal, civil, or administrative forfeiture of that lien under federal law simply for providing such banking services to the cannabis-related legitimate business. And fourth, the SAFE Act of 2017 would require that the filing of suspicious activity reports based on cannabis-related businesses comply with the recommendations initially laid out in the Financial Crimes Enforcement Network’s (“FinCEN”) February 2014 guidance on the subject. 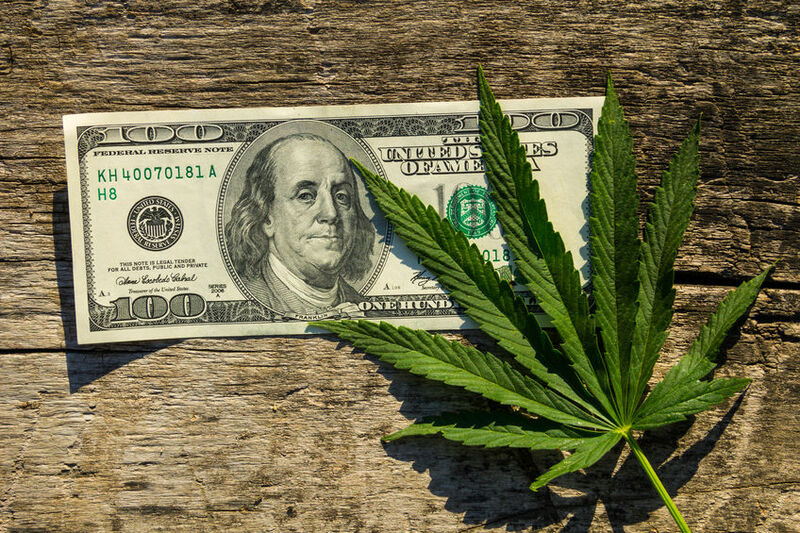 And while most financial institutions operating in the cannabis space currently follow the FinCEN guidance on filing marijuana related SAR’s, the SAFE Act of 2017 would convert the generally accepted practice into enforceable law and provide another layer of security to financial institutions banking marijuana related businesses. The SAFE Act of 2017 is not a panacea for the concerns of financial institutions looking to bank (or already banking) “cannabis-related legitimate businesses” but its passage should provide further comfort to financial institutions interested in the industry. Passage of the SAFE Act of 2017 would also have no impact whatsoever on financial institutions currently banking hemp related businesses as hemp was already made federally legal under the recently passed Farm Bill. But regardless of anyone’s opinions on the federal legalization of cannabis, the fact of the matter is that there are countless cannabis-related legitimate businesses operating within the laws of their own states which need access to this nation’s banking system. The SAFE Act of 2017 may very well be Congresses realization that it may not yet want to have the federal legalization fight, but needs to act to protect the bourgeoning state level cannabis industry in the meantime.